The artist draws an outline of a picture and then fills int he colors to bring a scene to life. That is the same vibrancy of that occurs when we our volunteers add their own unique color to the activities at B'nai Aviv. The outline for our success is clear, but only with volunteers does our picture fill with energy and become alive. This is your synagogue and your community. 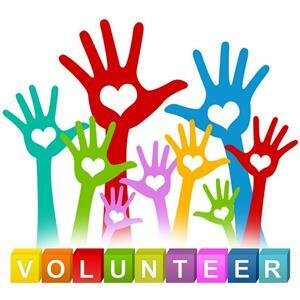 We are a volunteer driven organization that needs, and thrives, on your involvement. We help each other, support each other. We are part of a truly dynamic and energized sysnagogue and we will grow stronger through each member's participation. There are so many opportunities for all of you to get involved at B'nai Aviv in your own unique way. I urge you to enthusiastically volunteer and participate in activities of your choosing. Please don't wait for others to do what you have a passion for. We will do this together. Adult Education Committee: Heidi Klauber, Chair. The Adult Education Committee, in consultation with clergy and staff, develops year-long adult education programming opportunities for all aspects of the synagogue. Business Network: Eric Solomon, Chair. The Committee supports our congregants by promoting their businesses and expanding their network through regular monthly educational meetings and social gatherings. Cultural Arts Committee: Coordinates and implements programs designed to enhance Jewish cultural activities. Early Childhood (ECEC) Committee: The ECEC Committee, in consultation with the Board of Directors and ECEC Director, determines policy and formulates rules and regulations for, and with respect to the administration of the ECEC programs. Fundraising Committee: Michael Cohen, Chair.The Fundraising Committee coordinates and implements programming designed to raise money for the synagogue. Hazak: Stanley & Joan Cohen, Co-Chairs. Hazak is a social, spiritual and educational program for members age 55 and above. House Committee: Benny Bejar, Chair. The House Committee oversees the physical plant and operation of the synagogue's buildings and grounds, security, catering and provides the Board of Directors with recommendations for capital improvements to and maintenance of the physical plant. Israel Committee: Karen Saster, Chair. The Israel Committee serves as liaison between the synagogue and community programs concerning the State of Israel. Long Range Planning Committee: Seth Lubin, Chair. The Long Range Planning Committee coordinates and formulates goals for the future of the synagogue. Communications and Marketing Committee: Ari Paget, Chair. The Marketing Committee is responsible for overseeing the marketing, public relations, advertising, and publicizing of synagogue events as overseeing the publishing of the news bulletin of the synagogue. Membership Committee: Dale Kotler, Chair. The Membership Committee coordinates and implements activities designed to increase and to retain membership. Men’s Club: Mark Kleinman, Chair. The Men’s Club enables the men of the congregation to work in fellowship to create programs and events for B’nai Aviv whose main objective is fun. In addition, it works closely with other B’nai Aviv organizations to support fundraising and various functions of our synagogue. Religious School Committee: Kurt Wasser, Chair. The Religious School Committee, in consultation with the Religious School Director, Rabbi, and Board of Directors, determines policy and formulates rules and regulations for and with respect to the administration of the Religious School programs. Ritual Committee: Joe Schimmel, Chair. The Ritual Committee serves as an advisory and consultative group to the clergy concerning worship ritual practices at the synagogue. Sisterhood: Corinna Black Kushner, Chair. The Sisterhood is a group of women of all ages who bond together to support our congregation, to engage in fundraising activities, and to enhance opportunities for education and spiritual growth. It is a part of the Women’s League for Conservative Judaism. Social Action Committee: Ben & Cyndi Schulman, Co-Chairs. The Social Action Committee implements and coordinates charitable activities to benefit the synagogue's community. Youth Commission: Rosalyn Sanders, Chair. The Youth Commission coordinates and implements youth activities and coordinates youth groups sponsored by, or affiliated with, the synagogue.